Constitution Hills is a neighborhood located in the Powers Corridor of Colorado Springs, on the Northwest corner of Constitution Ave. and Peterson Road. One of the amenities of this neighborhood is Fredricksburg Park, which has a great playground and a large grassy field for the kids. 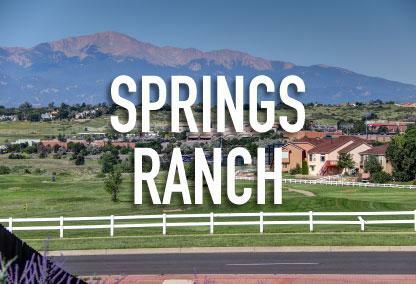 Constitution Hills is also very close to Springs Ranch Park and Remington Park, offering basketball courts, trails and more playgrounds for the kids. Many of the homes for sale in Constitution Hills are between 1,000 to 3,000 square feet in size and were built in the mid-1980s. Most of the homes in the neighborhood are 2-story and ranch style models with wood and brick exterior siding with a 2-car garage. Constitution Hills is not under a mandatory Homeowners Association at this time. This neighborhood is zoned to Falcon School District 49 with Remington Elementary, Horizon Middle School, and Sand Creek High School as the primary schools for kids in the community. This neighborhood is considered to be part of the Powers MLS area within zip codes 80915 and 80922.